Home Dogs New Nordic Winners! What can we say…? Our first and only show of the year was a success! 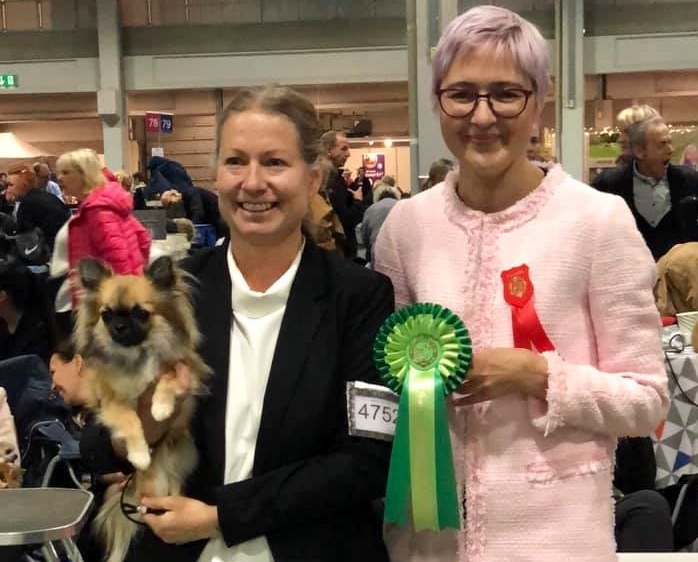 At Nordic winner show in Oslo, Norway, first of all our MultiCH Elith Be Luca’Licious was BOS in smooth coats with Nordic CAC and NORDIC WINNER-18! Next weekend she will be 8 years old – still going strong! 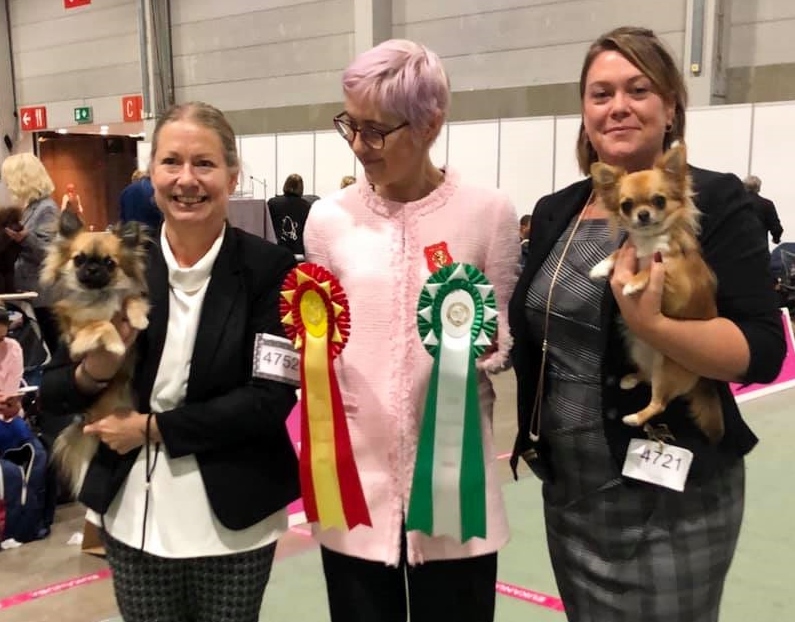 In long coats our breeding Elith Hear Hear was BOB with CAC, Nordic CAC, NORDIC JUNIOR WINNER-18 and NORDIC WINNER-18! Hugh congratulations to his owner Kerstin Ström! And not to forget, in smooth coat females the NORDIC JUNIOR WINNER-18 was Koru’s Rexha Koria. She’s a daughter to our MultiCH Elith Right Up Your Alley and she was also BF4 with CAC. Big congratulations to owners/breeders Christina Denice Wulff-Pedersen and Lena Sparbo Vanvik! Our other dogs also had a nice day. Elith Joy To The World was Ex4 with CQ in a big junior class in long coat females and also Elith I Don’t Need A Reason was Ex4 with CQ in a big junior class in long coat males. Our little Elith Let There Be Light made his show debut in puppy class with great confidence, ending up as very promising 3rd with nice words from the judge. CH Helmiäisen Mr Neptune was Ex3 with CQ in a big champion class smooth coat males and CH Elith Variety Is The Spice Of Life got Ex in a big champion class long coat males. 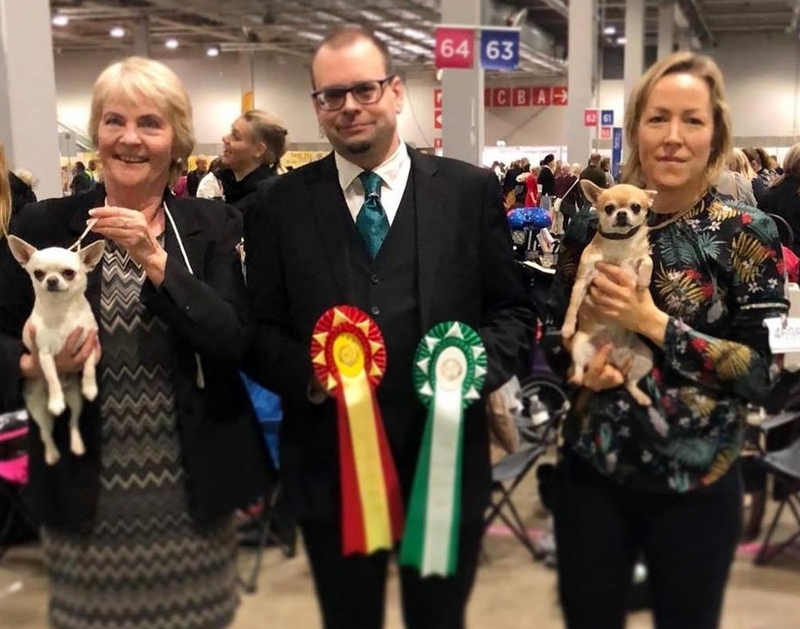 A big thanks to the judges Samuel Carlid (smooth coats), Gabriella Carlid (long coat males and BOB) and Åsa Andersson Fröding (long coat females) for appreciating our breeding.